Following our post with images of a purported iPhone 5 case, other sources have followed up with us with their own cases. 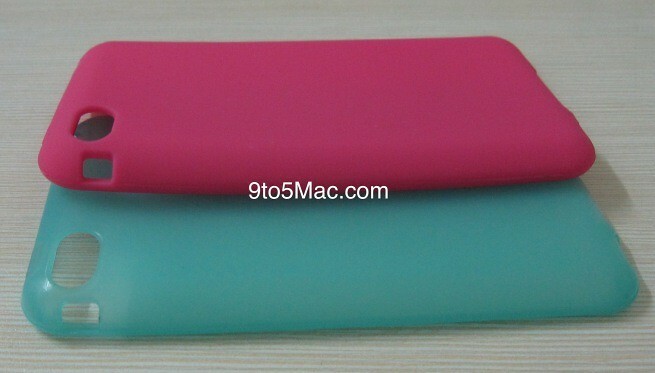 This time we not only have a silicone case, but a hard case, too. The image above shows a top view of both of our cases. They both show a ringer switch on the opposite side of the volume keys, which is a shift from previous models of the iPhone. In addition, the bottom of these cases have holes for a separate speaker, main microphone, and USB dock connector. You may have noticed this on our iPhone 5 case post earlier this week, but today comes the more important information. Our images were admittedly not very clear about the case’s thinness or if there was a “tear drop” as previously described by This is my next. Our new images are clear and there are appears to be a slight – not major – tear drop in the design. The case goes thick to thin from top to bottom. In addition, the sources who provided us with these two new cases have shared some dimensions. According to them, the case is 5 inches tall and 2.8 inches wide. These are tight cases so the iPhone 5 dimensions should only be a few millimeters smaller than those numbers. 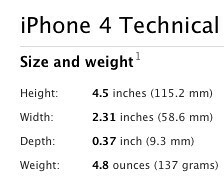 For comparison, the iPhone 4 is 4.5 inches tall and 2.31 inches wide. This likely will leave room for the rumored bigger screen, as reported by the WSJ, Bloomberg, and This is my next. Although we are not able to absolutely confirm that these cases will fit the fifth-generation iPhone, the sources of these cases stress that the information used for design and manufacturing came from their own proven industry sources…Sources like the ones that provided amazingly accurate iPad 2 information and dimensions to case manufactures months before the product’s March debut. These cases are also just appearing weeks ahead of the iPhone 5′s debut. With the iPhone 5 most certainly in production, it is prime time for insider leaks to occur in Asia.